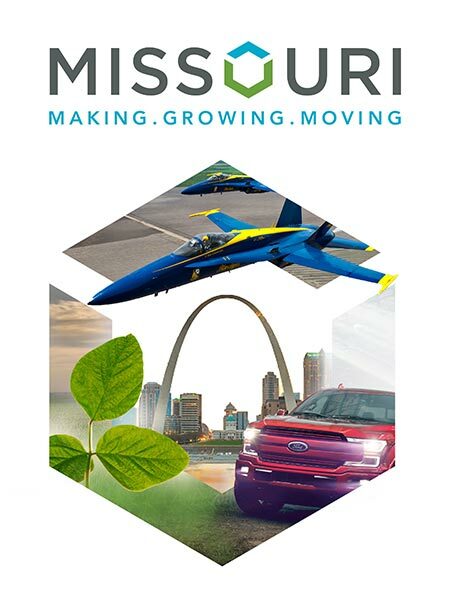 Missouri's prime location doesn't get more convenient for businesses looking to grow in the Midwest. As a leading region for agtech, advanced manufacturing, defense and distribution, Sedalia/Warrensburg offers industries a prime location and talented workforce that can't be beat. Some of the region's largest companies include Ditzfield Transfer, Schreiber Foods and 3M. The region is also home to the Air Force Global Strike Command's 509th Bomb Wing at Whiteman Air Force Base. Pilots from the base also teach at the University of Central Missouri (UCM). UCM has two campuses located in Warrensburg and Lee's Summit. The university's Missouri Innovation Campus has been recognized as a model of higher education. Other schools in the region include State Fair Community College in Sedalia, and Missouri Valley College in Marshall. Located east of Kansas City along the I-70, I-50 and Highway 65 corridors, the logistical advantages are numerous. As such, Dollar Tree selected the region for its new 1.2 million-sq.-ft. distribution facility. The Warrensburg expansion will create 375 new jobs within the next few years and represents more than $110 million in capital investment. In 2017, Nucor, the largest producer of steel in the nation, invested $250 million to construct a steel bar micro-mill in Sedalia. The investment will create more than 250 high-paying jobs. "This rebar micro-mill project is consistent with out long-term strategy for profitable growth and builds on our position as the low-cost producer," said John Ferriola, Chairman, CEO and President of Nucor. "Strategically positioning this micro-mill in Sedalia will give us a sustained cost advantage over other domestic steel producers supplying rebar from outside the region." Nammo AS, an international aerospace and defense company headquartered in Norway, launched its logistics center, Capstone Precision Group LLC, just outside of Sedalia in 2017. The company will create up to 21 jobs over the next five years and invested nearly $1 million in its new 30,000-sq.-ft. facility. "Nammo is excited about the creation of the Capstone Precision Group logistic center in Missouri," said Raimo Helasmäki, Nammo's EVP of Commercial Ammunition. "This move to Missouri is a well thought through strategy where all the benefits for all counterparts are optimized. The local authorities have been very easy to work with to help develop this project. We look forward to years of growth through this facility"